Last night, it was Bryan Fuller would no longer be serving as showrunner for Star Trek: Discovery—an announcement that makes a good deal of sense when you consider the man’s workload. But buried in that news was a little tidbit about the cast that is slightly strange. Sources tell THR that the rest of the cast also will feature an openly gay actor as one of the male leads (which Fuller confirmed), a female admiral, a male Klingon captain, a male admiral, a male adviser and a British male doctor. There are a couple of things of note here. First of all, Fuller had already said that the lead would be a woman who wasn’t a captain but a lieutenant commander and that there would be a gay man in the cast. Those things aren’t new. Second “British male doctor” is specific enough that I wonder if they’ve got someone in mind for that. Having a Klingon captain is interesting, but given the time this is set in—10 years before The Original Series—it’s really unlikely that this is the captain of the Discovery. More likely, this means that we’ll be seeing some things from the bridge of a Klingon ship. 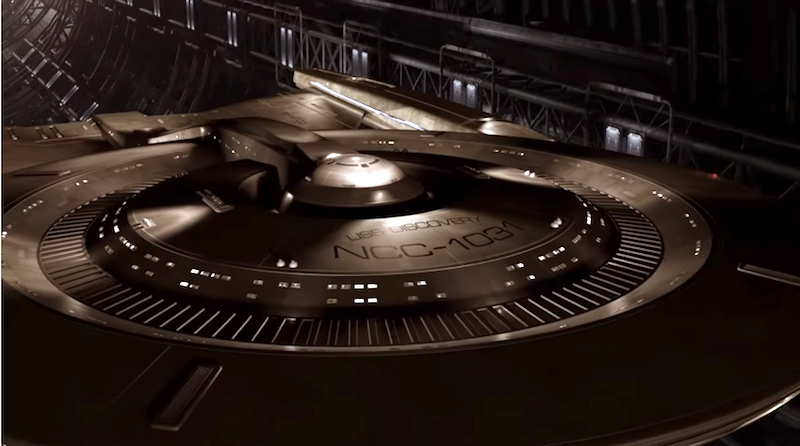 Fuller has also said that the show would be doing a lot of things differently from the other Star Trek series, and this would certainly fit that. Also weird and new is the idea that two admirals would be featured in the show. Note that there isn’t a species attached to anything but the Klingon captain. We’ve been promised new aliens since this show was announced, after all, and it’s unusual for a Star Trek show to come right out and feature admirals. They’ve always been mostly antagonists for the captain and crew to run up against. I’ve got to wonder if both admirals are Federation admirals or if one is going to be from a different organization. Rumors also had this show being about crew members not as high up on the food chain, which which doesn’t mesh at all with a cast of characters that features two admirals. There’s also something vaguely unfortunate about the admiral and the lead being the only women characters listed so far. That’s a long string of “male” in that list; which isn’t to say that there won’t be more non-male characters, just that they’ve apparently confirmed a lot of them. One of which looks like it won’t be a member of Starfleet, which should be an interesting new element added to the crew. I mean, everyone loved having T’Pol around in Enterprise. Anyway, fingers crossed that Discovery finally has its ducks in a row and we can get a cast soon.